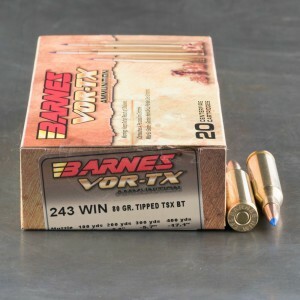 Hollow point 243 ammo is commonly used by hunters in North America who prefer not to utilize a soft point bullet in their hunts. 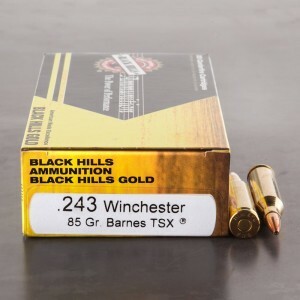 This page features all of our 243 ammunition with a hollow point bullet for sale. See something you like? If you see it here, it's in stock and ready to ship. Have a question? Just let us know, we're happy to help!